Barbour Briggs Striped Beanie for ladies in vanilla, olive or multi. 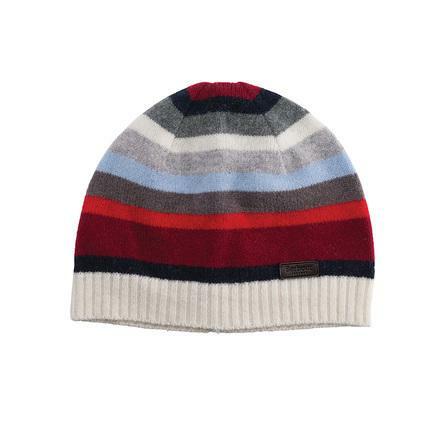 The Briggs Stripe Beanie Hat by Barbour is made in colours to complement the Barbour winter range. This hat is knitted from 100% lambswool. The good news, if buying this Barbour hat as a gift, is that it comes in one size only, which should fit all. The Barbour Briggs Beanie Hat is made in Scotland. Choose from multi-colour, olive or vanilla shades using pull down menu below. Matching scarf and gloves available. Barbour's advice is that this hat be dry cleaned only.SALE!